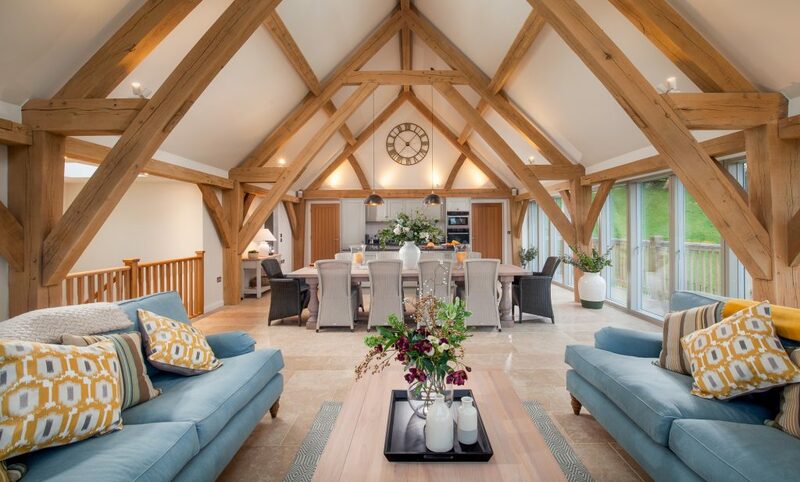 We love welcoming clients to our Devon yard to see the carpenters in action, as well as the show barn. On Friday 11 January, not only will visitors be able to see the yard, but just down the road, a recently completed, four bedroom property with expansive views across the South Hams towards Dartmoor. 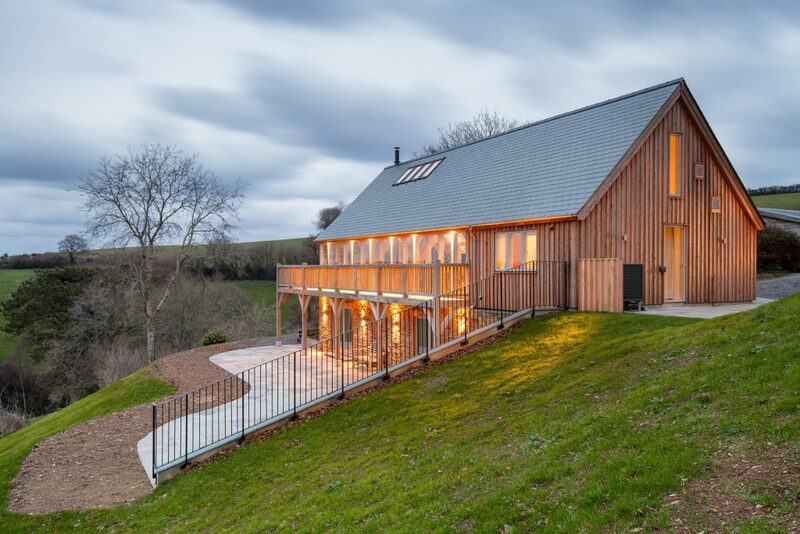 The new build replaced an existing agricultural building and is the newest addition to a collection of holiday lets situated in and around the striking Georgian era Gitcombe House. 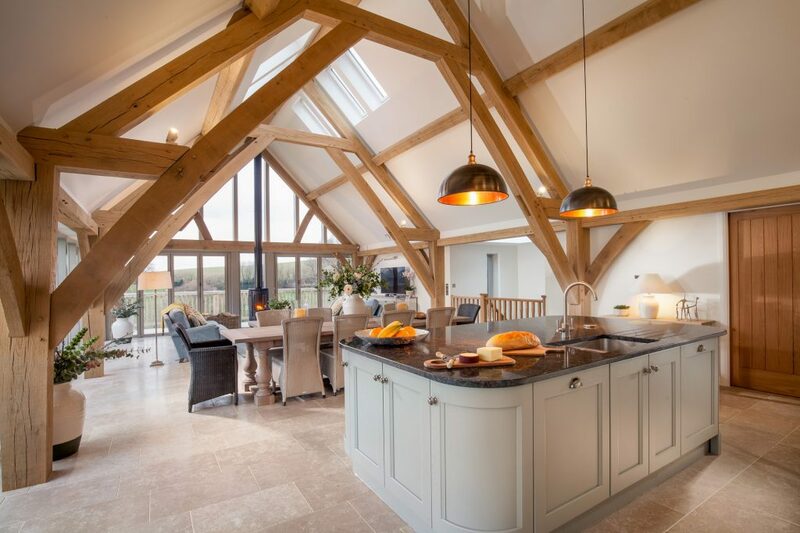 The property has four bedrooms and bathrooms and a large open plan kitchen-dining-living area, all framed in oak. Carpenter Oak also designed and hand crafted the oak balcony that wraps around two sides of the building, making the most of the spectacular views. 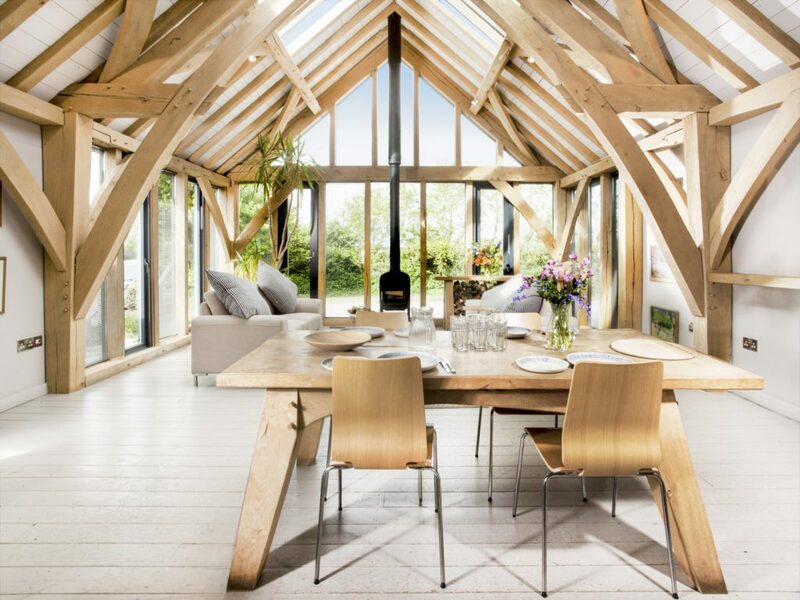 The frame features two sling brace trusses and bespoke steelwork to allow for a central chimney flue. 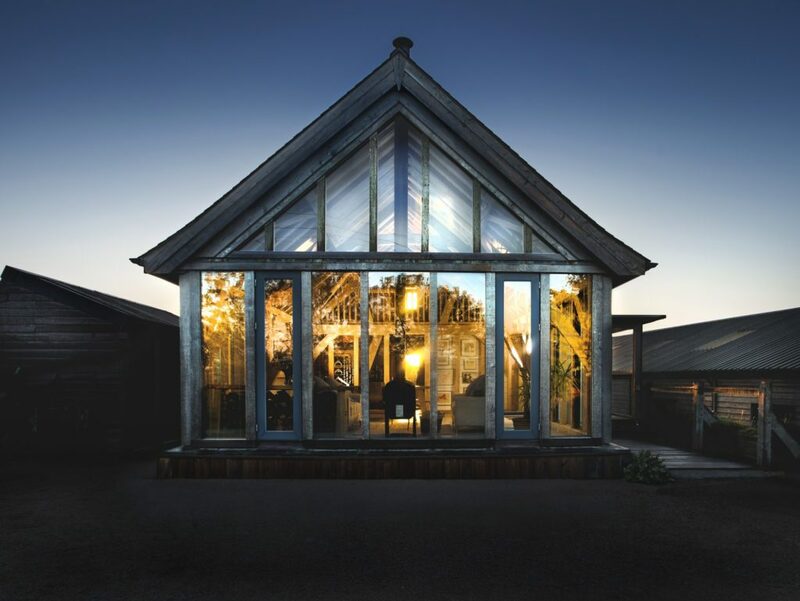 A continuous run of glazing units along the side of the building and a fully glazed gable end utilises a more contemporary detail by positioning the glazing clear of the oak frame. 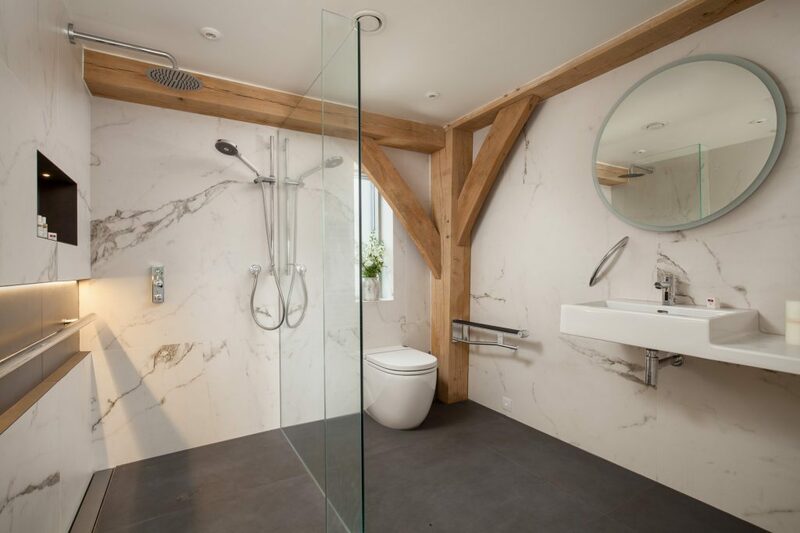 Aesthetically this allows for more of the frame to be seen and increases thermal qualities on a practical level. 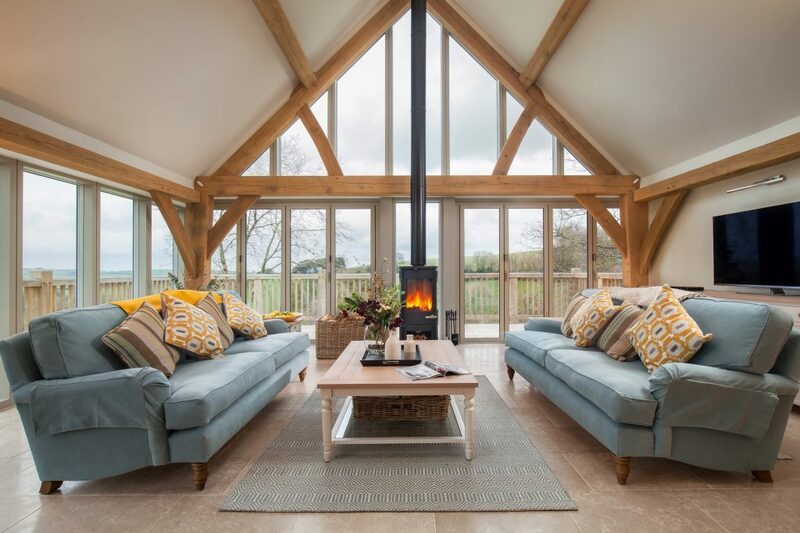 Find out more about Gitcombe Retreat in our case study. You will be able to look around the property as well as speak to the owners, builders and the Carpenter Oak team about your project. If you have any photos of a site, sketches or drawings, bring them along so that we can get a full understanding of your plans and get you excited about your project! Then you will get to see the carpenters who hand-made and raised the frame in action in the workshops at the yard, as well as our show barn. 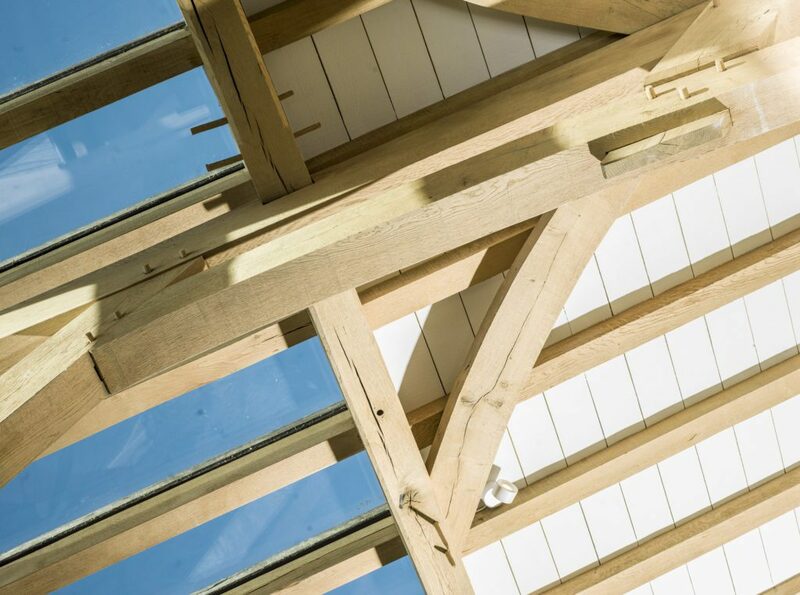 It promises to be a day of inspiration, as well as a source of practical advice and encouragement for your timber framed project – as well as an unlimited supply of tea and cake! Booking an appointment is essential, so that we can make the most of your time with us. The event will run from 10am-4pm on 11 January. To book your time slot, email [email protected] or call us on 01803 732 900. Can’t make it to the open house? 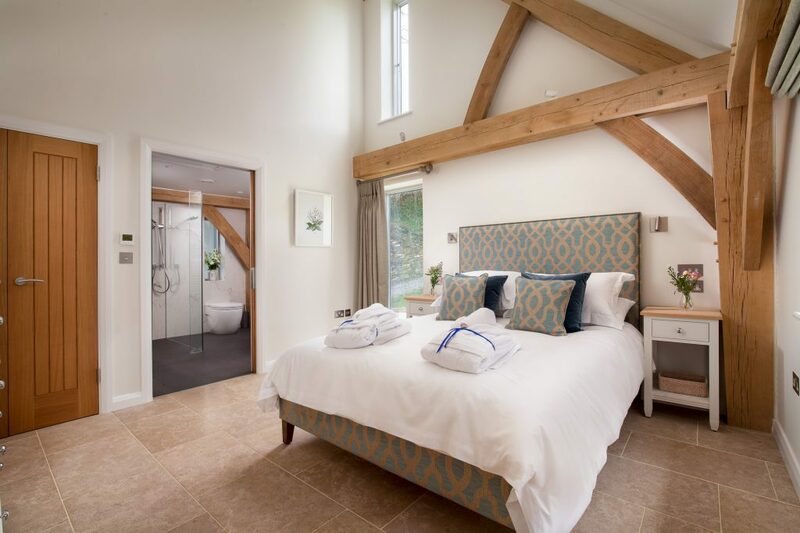 Gitcombe House Country Cottages are available to book all year round and include Gold rated 4 and 5 star luxury holiday cottages with heated indoor and outdoor swimming pools and log fires. The owners are kindly offering a discount to carpenteroak.com visitors for dates between 1 January and 4 July – just use Carpenteroak20% on the booking form. If you want to know where else you can meet Carpenter Oak in person, look at our events calendar.